In 2006, the European Union rolled out a directive restricting the use of certain hazardous chemicals. This directive, Restriction of Hazardous Substances (RoHS), would have a far-reaching impact on the electronics industry. Its restrictions on using lead would send manufacturers scrambling to revise their practices or adopt entirely new ones. Thanks to a follow-up directive in 2011, manufacturers now hustle to meet RoHS 2 compliance. Yes, it’s not a punitive law full of fines and penalties. But if you’re a U.S. company, noncompliance is basically an impassable barrier to entry to the EU trade market. So if you want to do business abroad, don’t mess around -- comply. Thankfully, most manufacturers around today are better equipped to produce RoHS 2 compliant products. This usually requires going back through the supply chain to obtain raw materials declarations and certifications to demonstrate that their products are RoHS compliant. According to the directive, all products sold in the EU market since July 1, 2006, must be RoHS compliant. 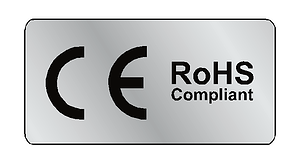 What Is RoHS 2 Compliance? RoHS 2 compliance refers to Directive 2011/65/AU on the restriction of even more hazardous substances in electronic and electrical products. This directive became European law July 21, 2011, and took effect in all EU member nations Jan. 2, 2013, replacing the original RoHS. Just like the first directive, RoHS 2 restricts the use of the six hazardous materials mentioned above. However, this directive covers a broader range of equipment and imposes additional obligations on electronic and electrical equipment manufacturers. These include affixing CE markings on finished products to show compliance as well as producing technical documentation to demonstrate conformity. On March 31, 2015, a new directive was born – Directive 2015/863, better known as RoHS 3. This directive adds four restricted substances, bringing the total to 10. However, the effective date of implementation for the new substances is July 22, 2019. Once again, this applies to all electronic and electrical equipment sold in the EU market. But medical devices (category 8) and monitoring and control tools (category 9) will have two extra years after this date to comply with the regulations -- up to July 22, 2021. RoHS 2 requires that manufacturers carry out compliance checks, prepare the declaration documentation, and append CE markings on their finished products to show they are compliant. You can find the format for conformity declaration on Annex VI of the RoHS 2 directive. Remember, by placing your product on the market, you are signaling that it’s RoHS compliant. RoHS 2 compliance makes room for some specific exemptions because of the huge scope of products it affects. It isn’t technically feasible to manufacture some products without using the restricted substances. The commission grants some products time-limited exemptions until science can formulate a safer alternative. You can obtain a comprehensive list of the exemptions from the Department of Business Innovation and Skills website. Keep in mind that there’s no U.S federal equivalent of RoHS -- yet. Not that it matters, really. Europe is such a huge market for electronics -- nobody is going to build a lead-free product for EU markets and build a separate version containing lead for the U.S. market. That would just be inefficient. Elsewhere in the world, you’ll find similar (but not the same) RoHS directives -- Ukrainian, Korean, and so on. Regulations vary from country to country, so make sure you’re using the correct directives. No matter where you do business, if you outsource any work -- PCB design, PCB assembly, etc., -- make sure your manufacturing partner is certified and compliant in all necessary fields. Your partner should always be helping you keep compliance, certification, and intrinsic safety top of mind.